The Simi Valley Corvette Club is more than just two meetings a month. It‘s about making friends, getting together with these friends and taking AMERICA’S TRUE SPORTSCAR out on the road. We’re ready for another great year in 2019. Club membership continues to rise and enthusiasm is higher than ever. 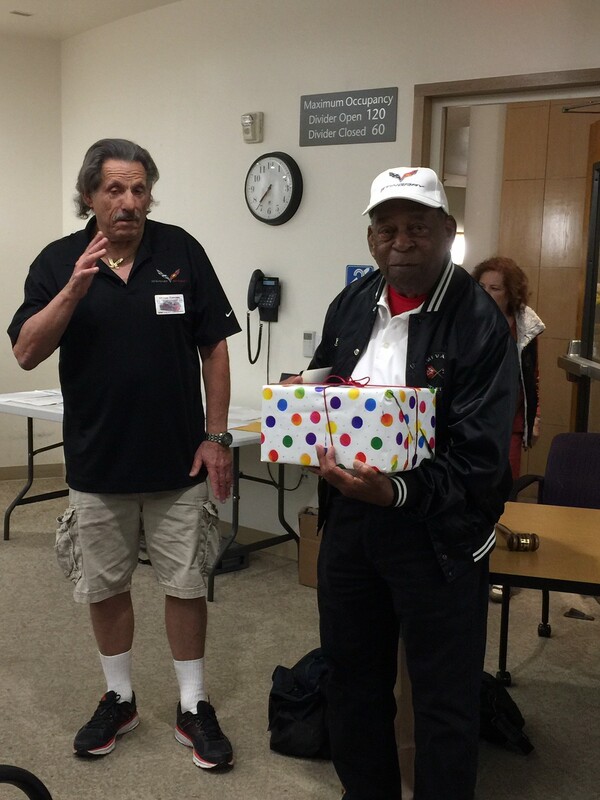 NCM Ambassador George Johnson receiving an award on stepping down. 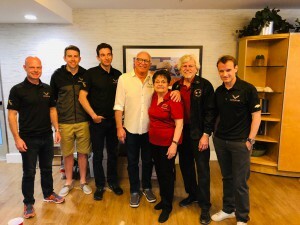 The Simi Valley Corvettes presented an award to our National Corvette Museum Ambassador, George Johnson on April 2, 2019. George has been the liaison since 2011 and has served the club with providing us Museum information and keeping us up with news about our Corvettes. 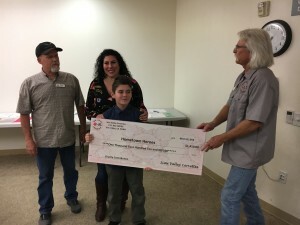 We have appreciated George for his efforts and expect to see him at our meetings and other events he can attend. Thank you, George! We were at an NCM event this evening with the Corvette Race Team. They announced the next generation C-8 unveiling on July 18, 2019. In New York at the same time Mary Barra and Tadge Juechter drove up to a wounded warrior fund raiser in a camouflaged C-8 at the same time Doug Feghan was telling us about them doing so. 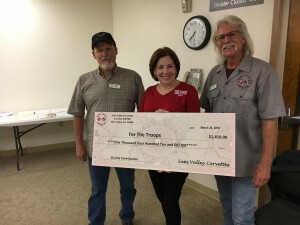 Simi Valley Corvettes’ presentation to our two charities: For the Troops and Hometown Heroes. We were pleased to support these two worthy charities. 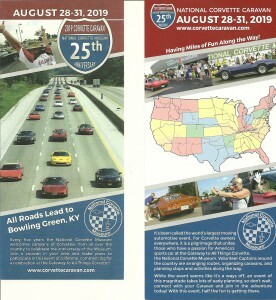 Celebrate the 25th anniversary of the National Corvette Museum in 2019. Copy the link below in your browser to register for updated information about the caravan. We are in the southwest region.